Kelvinhaugh Gate accommodation is exclusive for undergraduate students of the University of Glasgow and is the perfect accommodation for studying at the University of Glasgow. These modern apartments are equipped with 248 single en-suite study bedrooms and communal living areas. 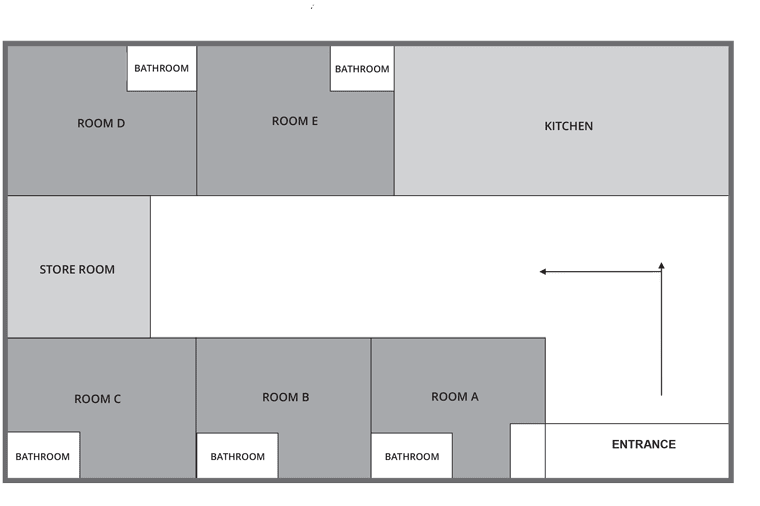 Flats are arranged in clusters of three to five bedrooms, furnished with everything you need to relax and study in comfort. Every shared kitchen is fully fitted and includes a dining area, offering the perfect place to cook and relax with your flat mates. Kelvinhaugh Gate accommodation is in the perfect location for students to explore everything that Glasgow has to offer. 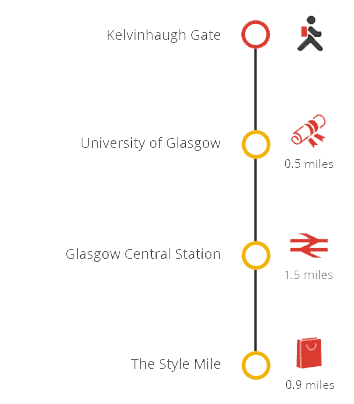 You’re only a 15 minute walk from the University of Glasgow campus. Kelvinhaugh Gate is managed by Sanctuary Students on behalf of the University of Glasgow. The University of Glasgow accommodation office receives and processes applications for accommodation. To apply, please complete a University of Glasgow online application for undergraduates. Kelvinhaugh Gate now benefits from LaundryView which will make doing your laundry on-site even easier. The system, created by Circuit, allows you to go online and check the availability of washers and dryers in your building as well as see when other washes are about to end.